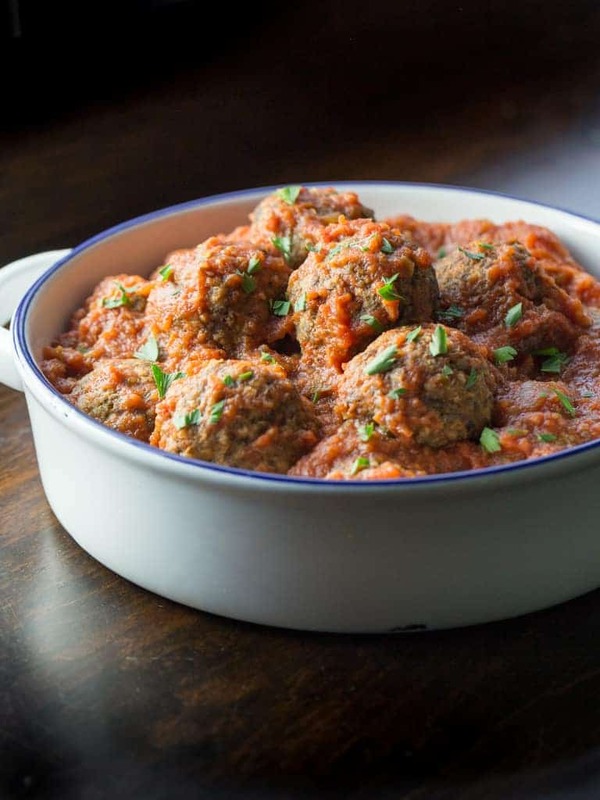 Your family will applaud your dinner when you make this healthy and delicious Eggplant and Beef Meatballs Recipe. So I went to work at creating a recipe that turned out even better than I planned! I decided I wanted an Italian twist on meatballs, so I seasoned my panko bread crumbs with my Homemade Zesty Italian Seasoning and Dressing Mix, cooked the eggplant in olive oil and garlic, then added low-fat grass fed beef. 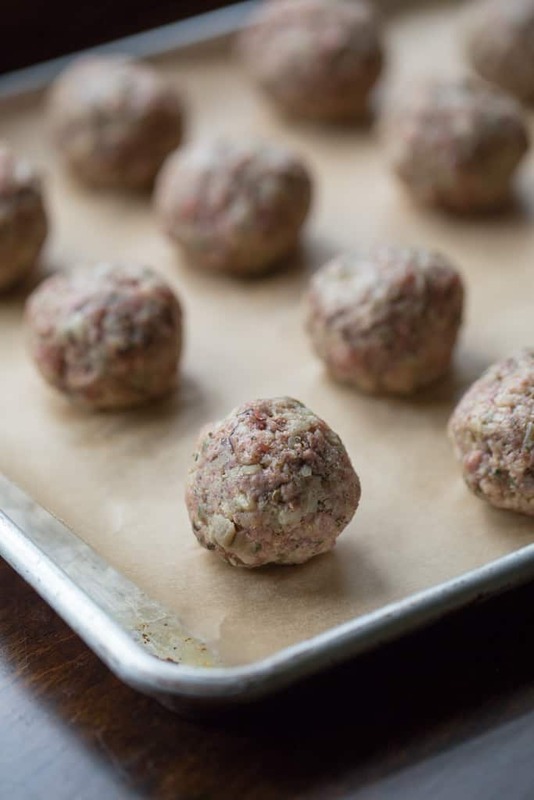 I then baked the meatballs in the oven instead of frying on the stove top. 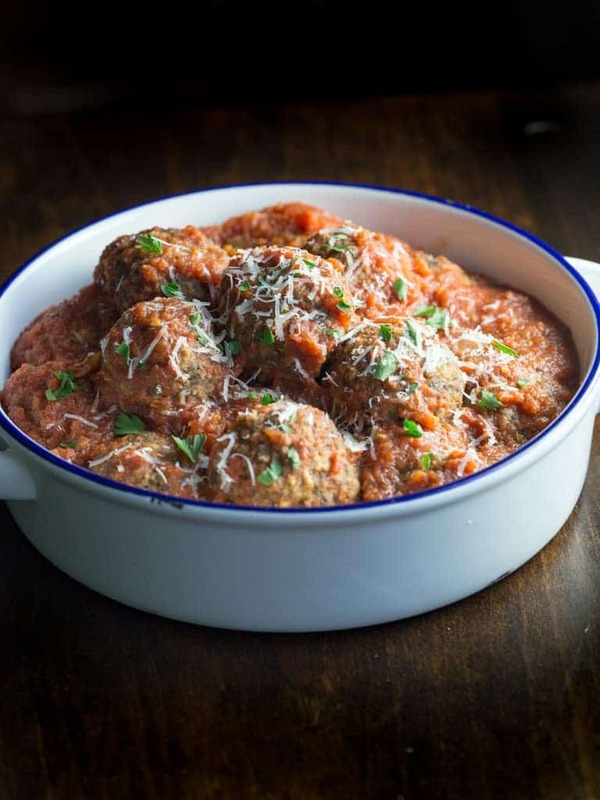 It truly became a low-fat, healthy meatball dinner. The meatballs were a hit! My two year old granddaughter was over spending the night when I served them and she normally will not eat any type of meat. However, not these meatballs, she asked for seconds and thirds and then wanted them the next day for lunch. My non eggplant eaters all thought they were moist and full of great Italian flavor too. 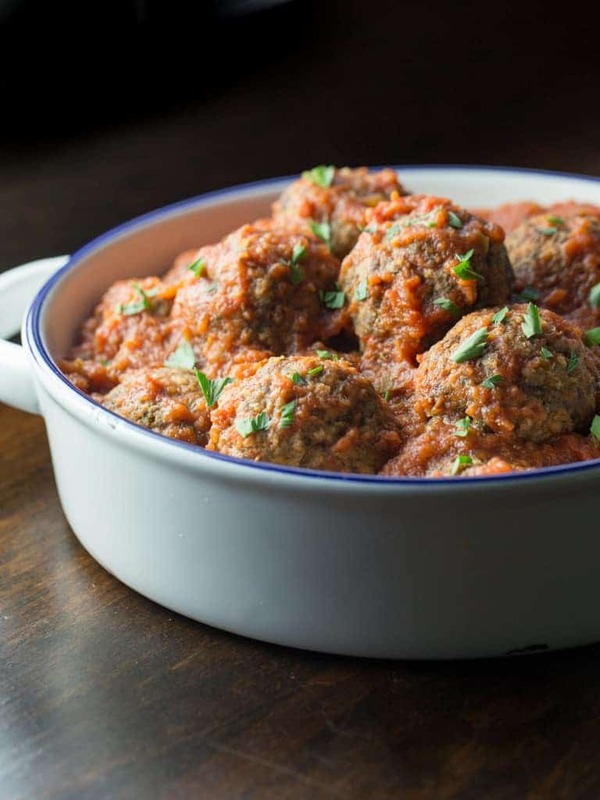 For more great meatball ideas on preparing, cooking tips and recipes be sure and check out My Kings Cook’s post Quick & Easy Ways on How to Make Meatballs You Probably Didn’t Know Exist The article has great photos and will teach you everything you need to know about making great meatballs of all kinds. Add eggplant and mix with hands until incorporated. I love this so much. I’m in the same boat with my hubby who won’t touch eggplant. It’s one of my favorite veggies though, and I’m excited at the prospect of trying this and him not even knowing it’s there!